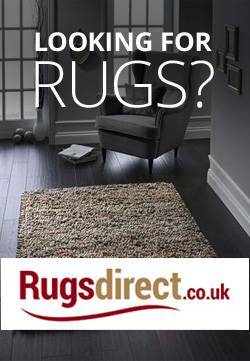 We hope that you will be delighted with the products and service you receive from Stair-Rods Direct. We understand however that, from time to time, we might get something wrong. Should this happen, we would like the opportunity to make amends as soon as possible. If you are ever less than 100% satisfied with any aspect of the Stair-Rods Direct service or any product you receive from us, please contact us right away. We will acknowledge your complaint within 2 days and deal immediately with issues arising from mis-delivery or goods damaged on arrival. We aim to settle your complaint as quickly as possible and promise to keep you informed throughout the process. We expect your order to reach you in perfect condition. You should inspect your products as soon as you receive them and, should you find that any item is damaged or defective, please contact us immediately. If you are unable to inspect your order before signing to accept it, we advise you to sign the delivery document as either "unchecked" or, if appropriate, "packaging damaged". Failure to do so will void any claim for a refund or replacement if the goods are subsequently found to have been damaged in transit. Having done this, should you then need to return any of your products as faulty or damaged, after you have accepted them, we will resolve the matter in accordance with the recommendations in The Supply of Goods to Consumers Regulations 2002. We will collect faulty goods for return at no cost to you and replace them or provide an agreed alternative or offer a full refund. You have the right to cancel your order unconditionally, and to request a full refund , for any standard item* purchased on this web-site but not yet despatched. To cancel your order, please email, fax or write to our Returns Department, quoting your invoice number, prior to despatch. If you decide that you are not happy with any standard item* after delivery has been made, you must advise us within 14 working days of receipt (starting the day after delivery). * Standard items include Rod Brackets, Joint & Symwood Door Thresholds, Skiffers, Victorian Stair Clips and Easy Studs. We are unable to accept cancellation or return of items made or cut to your specification, which include Stair Runners, Stair Rods and Easybind. If you would like us to collect a faulty or damaged items, please contact us within seven days of receipt (starting the day after delivery). You must take reasonable care of the item you wish to return, package it securely and clearly label it with the Returns Address shown below, before making it available for collection. For unwanted goods or faulty or damaged items which can be returned by post, please contact us within seven days of receipt (starting the day after delivery), to let us know that you will be returning goods and the reason for the return. You must take reasonable care of the goods and return them, at your own expense, securely packaged and in saleable condition (except damaged goods), to the Returns Address shown below. We recommend that you use a recorded delivery service and that you adequately insure the goods for the return journey so that the full value is covered in event of loss or damage. Stair-Rods Direct cannot be held responsible for goods lost or damaged in transit, and your claim for a refund will be void. Whether you return the goods yourself or use our collection service, please affix a label, showing the return address below, together with your invoice number. All refunds will be processed within 14 days of cancellation of your order or receipt of your returned goods.